A regal Bald Eagle (Haliaeetus leucocephalus) looking into the setting sun. …to photography! There’s always that branch or that powerline or whatever, in the way. This beauty was quite a ways away from me, and I used full zoom on my P900 and didn’t see the branch. If I would I would have moved down a wee bit and maybe got rid of the branch. Anyway, here’s a beautiful Bald Eagle (Haliaeetus leucocephalus) in all it’s splendor! Bald Eagles on the top of a communications tower at the end of White Rock pier. I’m told there are a large number of Eagles this year because of the size of the Salmon runs. To me it appears these guys were keeping an eye on the Gulls as there were quite a number on the jetty right below them. 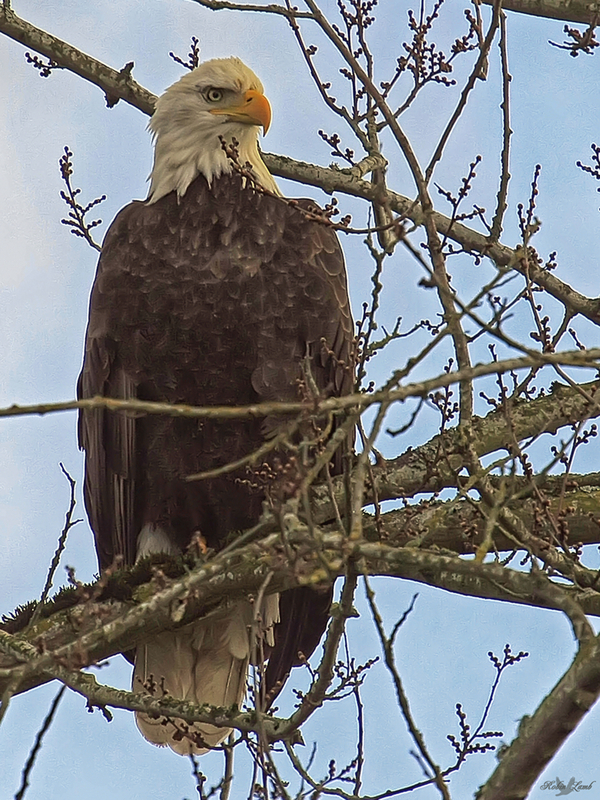 A Bald Eagle re-establishing it’s territory at a traditional nest site. The nest is just out of the frame on the left. It has been vacant for the past few months. 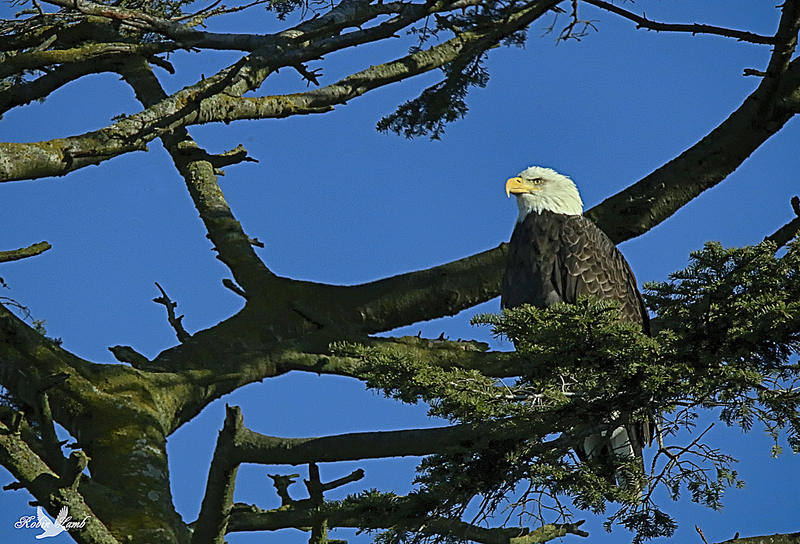 As we head into winter, the Eagles will re-claim the site for nesting come Spring.